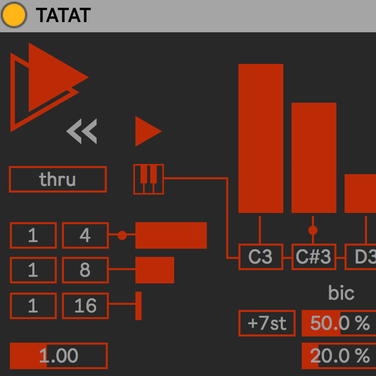 TATAT is a lunatic device designed for three main purposes: to create always-changing sequences, to quickly sketch and store melodic ideas, to add unexpected events to fixed patterns. TATAT is not really here to do exactly what you want: it’s a lunatic device. The best way to use TATAT, is to deal with it. You cannot say to TATAT what to do, no, but you can suggest a way: we call it mood. 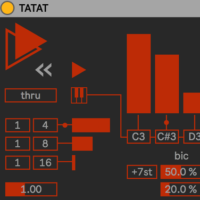 Thanks to generation and processing parameters you can set a mood for TATAT; this depends on notes interval, time fragmentation, and other factors. Once you set a mood you are happy with, you’ll listen to an infinite stream of events, always changing, all staying in the mood (and in sync! ).At this point, according to your needs, you can choose between live or fixed attitude. 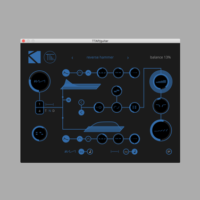 If you are happy to get the infinite stream, and you want to play it live, you can have serious fun tweaking Ratio and Liv-Mem parameters, some chances for notes and time resolution, or, again, changing notes on the fly with a keyboard or Push. 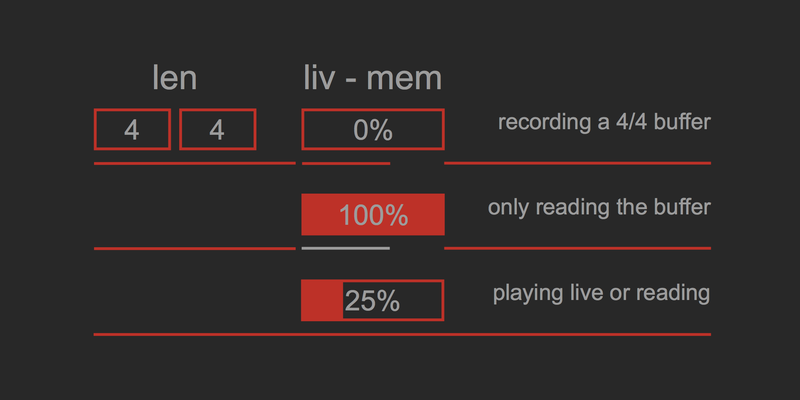 Going live you can maybe also need some stability: Liv-Mem it’s done for that! With a unique parameter you can record notes in a buffer with a given length, and choose if you want to play live generated notes, buffer content, or mix between these two sources by chance. If you are looking for some terrific patterns/riff/lines, then you did right to load TATAT too. With your mood well shaped, you just have to click on Export. 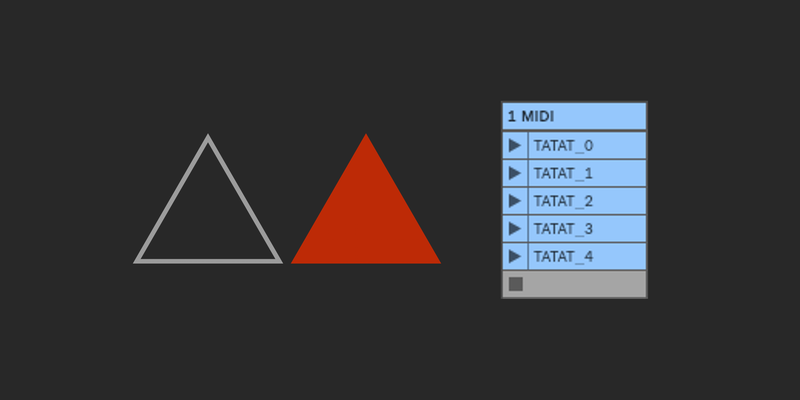 For each click, TATAT will create a brand new Live MIDI clip. Obviously you can set the length you want. When it’s done, you can disable TATAT (or even delete it), and just launch the clips! TATAT export only cool clips! There is also a third way to use TATAT, and we love it. 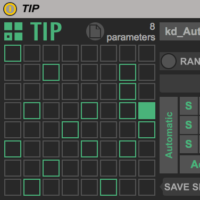 Thanks to Thru toggle, TATAT lets incoming MIDI messages pass: to put some instability on a boring fixed MIDI clip, let’s TATAT play on top of a fixed content! 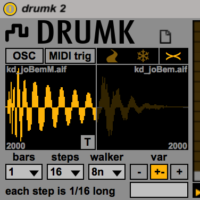 A basic example could be that you create a kick-snare simple clip, the you let TATAT work on some hats madness. Or you load a full drums pattern, you mute the snare notes, and you let TATAT take care of this part. TATAT has been designed as a tool to edits notes. 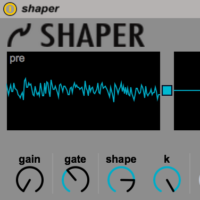 Try it with your favorite Ableton devices and plugins, and do not forget to use it with slices: it’s a lot of fun! Want to go deeper on TATAT? Download the manual, and be sure to follow up our series of quick tips on Instagram, or forthcoming new video tutorials on YouTube. Set chance for each time resolution to rule the stream, and scale results with main ratio to create organic time fluctuations. Set chance for each notes to get triggered, enable the keys toggle to change the notes on the fly, giving a different color to the stream. 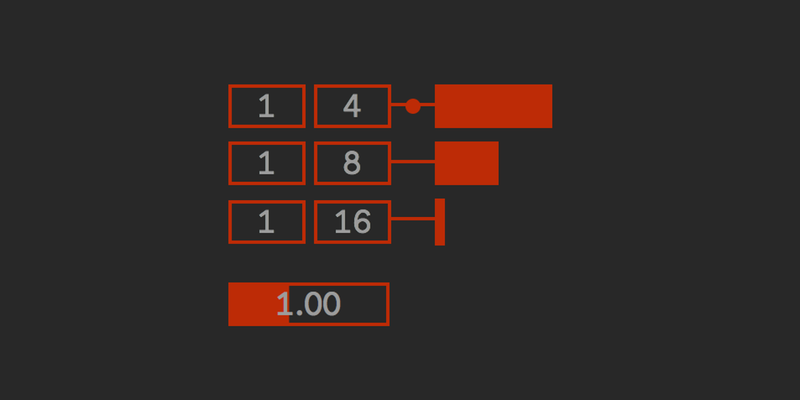 A special section lets you to set two intervals and the probability they got triggered, adding harmonic weight to the stream. 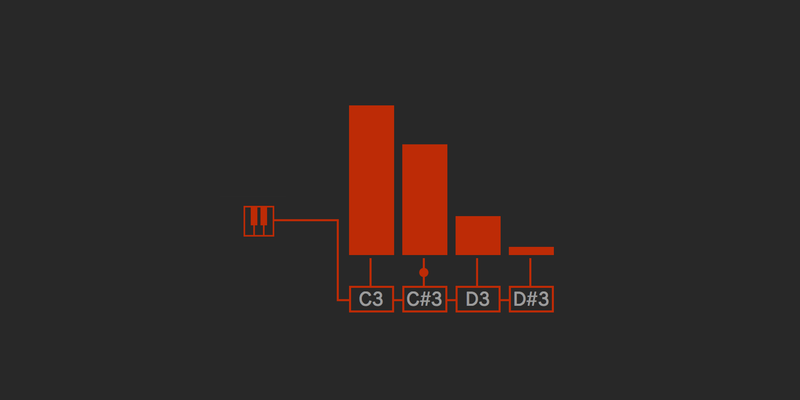 If you are playing a sliced sample, then you can set some double hits. 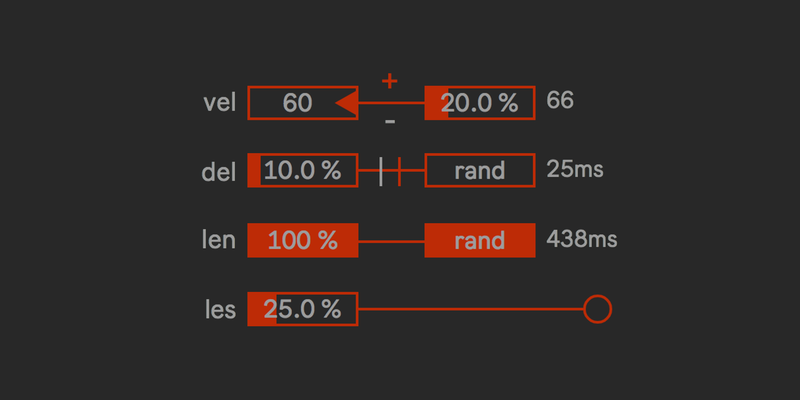 You can process the generated notes with several parameters: add a velocity variation, a delay, set the length, randomize, and mute some notes. It’s easy and fast. 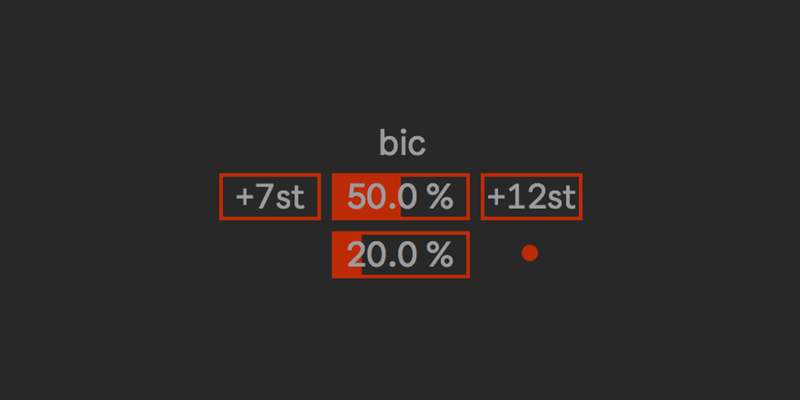 When this parameter is zero, a buffer with given length continuously records the stream, when it’s different than zero, the buffer got locked, and you set the chance to get live or buffered notes. You add the stability you want to the lunatic stream! You found the right mood? You can export all variations you want as Live clips with one click: quick and easy! TATAT is part of OOG series!! 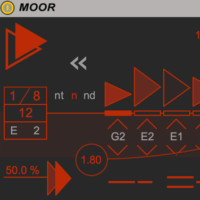 OOG tools are designed to write music and control instruments and effects with a different approach and new features. 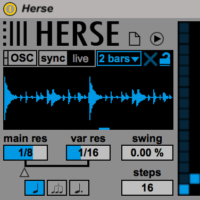 Starting as a familiar kind of tools (basically step sequencers), these devices go beyond the classic functions. Being their engines audio-driven, OOG devices bring sound synthesis and processing technics (as sync, phase distortion, etc) to modulation and MIDI sequences manipulation, opening to new exciting perspectives. These are killer devices for users that want to go wild with time signatures, complex time, micro articulation, odd grooves, IDM and experimental music; but they are also so versatile and easy to handle! 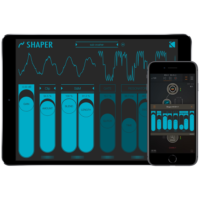 They will become the best partners also for users looking for catchy bass lines, straight beats, and groovy modulations! 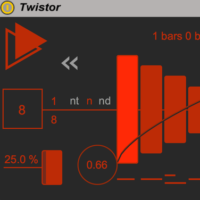 Get ESQ, MOOR, Twistor, AutoTrig and TATAT for a special price; unleash OOG power in your projects, for less!